Jeremy Ford. F.I.G.A, B.W.S, Cert. Ed. 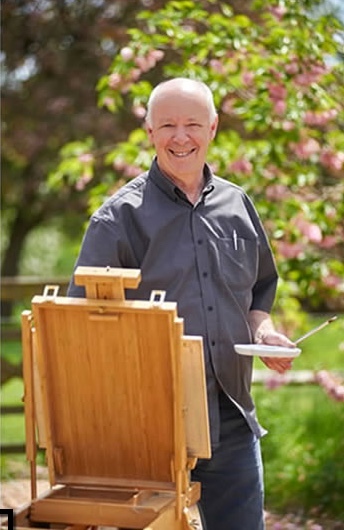 I live in Ackworth, West Yorkshire, U.K. and with over thirty years of teaching experience I am well qualified to help you to learn and enjoy painting in a friendly informal atmosphere. I tutor Painting Holiday breaks and popular workshops in watercolour, pastels, and gouache to art societies and clubs throughout the U.K and abroad. I am a demonstrator for the Michael Wilcox School of Colour, and I frequently demonstrate for the S.A.A. (1975-8) and have been a professional Artist and Illustrator since then, working on a wide variety of books, magazines, and greeting cards. 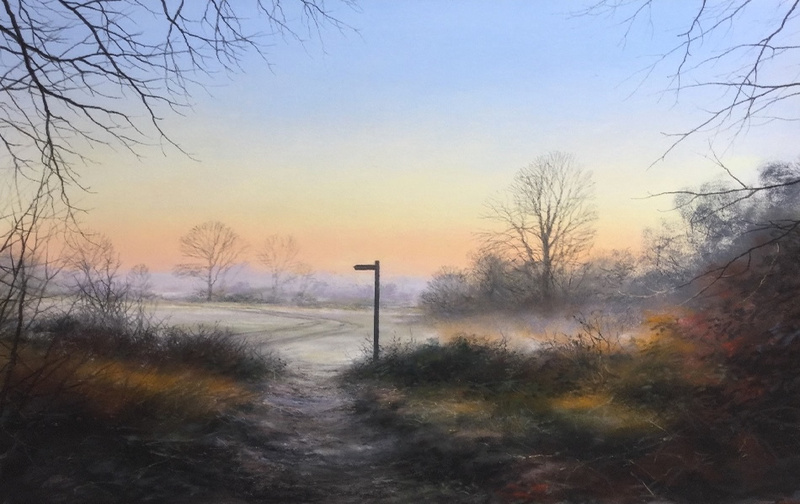 I undertake commissions in all paint media and have done work for The Royal Horticultural Society, Bradford Exchange Limited Edition Plates, RCA Records, The British Tourist Authority and American Express Travel Guides, amongst many others. I demonstrate painting at many popular art events, and am available for step-by-step workshops to art groups.